690 peninsula rd - great opportunity to own on beautiful trout lake! with over 187' of shoreline with removable dock, shallow sandy shore for easy swimming is sure to please! 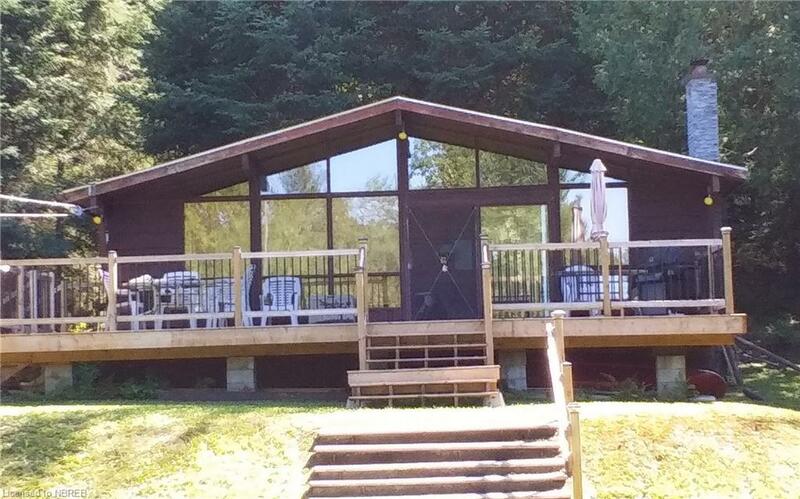 the seasonal cottage is surrounded by maure trees and offers a great open levelled area for lovely lake view, firepit enjoyment & great family gatherings. the cottage has seen some upgrades, shingles 2014, deck 2016 (12' x 37'), high efficiency karosene oil furnace, bunkie being used for storage & has hydro, circular driveway, parking for 4 and minutes to north bay.